The Winfield Team is composed of individuals who have a depth of experience in successfully operating businesses both within and outside the direct selling space and collectively have more than 70 years of experience in direct sales. The Winfield Team has supported more than 25 companies through a variety of situations and issues bringing to bear not only their experience, but also a disciplined process which analyzes the issues and opportunities confronting the company and then develops a customized approach to structure and implement appropriate plans and initiatives to address the issues and create new opportunities. While most of the firm's work and experience has been with companies with revenues from $100 million to $500 million, they have also worked with early stage clients, and have two clients with sales in excess of $1 billion. The Winfield Team will be deployed based on the specific initiatives and issues and are accustomed to working as a team to bring multiple perspectives on both issues and solutions. Since 2010, Jim Northrop has served as the President of Winfield Consulting, LLC, providing consulting services and counsel primarily focused not only on the direct selling industry, but also applying direct selling strategies to non-direct selling enterprises. 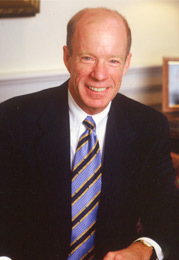 Prior to founding Winfield, Jim served as CEO to several companies leading them through turnaround and renewed growth. 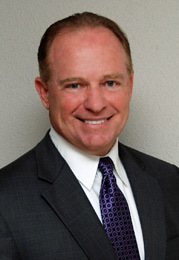 From 2007 to 2011, Jim was President/CEO of Immunotec, Inc., a nutritional network marketing company. Prior to that, he was the President/CEO of Readers Digest, Inc.'s Quality School Plan Division, a $400 million school fundraising business which has operated in the U.S. and Canada for the last 45 years and was successfully sold to Time Inc. From 1994 to 2006, Jim was the Chairman/CEO/Owner of Princess House Inc., a privately held direct sales company which he purchased from Colgate Palmolive and successfully turned around and grew into a significant and profitable business. Prior to his involvement with Princess House, Jim was CEO of a division of J. 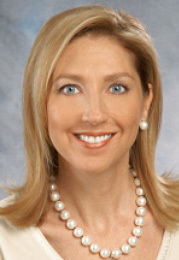 Crew, was CEO of Monet and Trifari Jewelry Companies, and held senior executive positions with Hallmark Cards, General Mills, Chesebrough Ponds and Quaker Oats. He holds an MBA from Columbia University and a BA from Brown University. 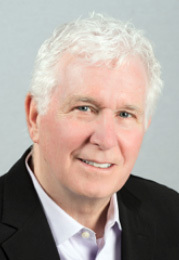 Jim is the former Chairman of the Direct Selling Association. He also served on the Board of the Direct Selling Education Foundation and several other corporate and not-for-profit Boards. Jim has focused on leading turnaround and renewed growth strategies for mid- to large-sized companies, as well as identifying restructuring plans to enhance profitability. His skills are in strategic planning, facilitating and coaching management teams to adopt new directions and adapt to new strategies and vitalizing companies which have stalled. Jim's approach is to collaborate with management to define and articulate new directions and then work with the team to develop, sell and implement these directions within the enterprise on an urgent basis. John Frederick specializes in the area of field development and compensation, as well as financial and performance evaluation. He has served in temporary roles with our clients; helping to focus, restructure and lead field-facing employee groups, as well as provide general management guidance and expertise on an interim basis. Over the past 25 years, John has enjoyed a successful career in direct sales, working across several functional disciplines. He has held key positions in Corporate Finance, Business Analysis, Inventory Management, Product Marketing, and spent the last 15 years leading sales organizations. His broad spectrum of experience includes both party-plan and multi-level business models. Following six years with Darden Restaurants in Accounting and Information Technology, John began his direct-sales career with Tupperware Brands in 1988. With significant accomplishments improving product-line profitability, business analysis, inventory reduction and strategic partnerships, John also restructured many of the financial transaction processes for Tupperware. In 1996, John accepted a position as Regional Vice President of Sales at Tupperware where he led the sales organization through several critical changes, including business model updates and compensation plan refinements, while delivering positive sales results. John was the VP of Sales for Immunotec, a Canadian nutritional network marketing company. He played a key role in the company's U.S., Mexico, and Caribbean market expansion, leading the sales organization and adapting the sales process to each market. His accomplishments in new consultant productivity, field leadership development and a refined recruiting message led to increased market penetration and bottom-line sales results. John earned his MBA from the Crummer Graduate School at Rollins College, and a BA in Finance from the University of Central Florida. An accomplished presenter and creative thinker, John believes strongly in the power of direct sales transforming lives, enriching business relationships, and providing bottom-line results for all stakeholders. Erin Bender brings a diverse foundation in consulting, technology and direct sales gained from top companies to deliver contemporary and innovative solutions that drive outcomes. Erin's 25-year career in direct selling spans start-ups to billion-dollar global companies in both party-plan and multi-level business models. She began her career designing business systems with top-tier advisory firms. Her holistic problem-solving approach led her to working across several functional areas throughout her career. She has held leadership positions in Sales, Marketing, and Digital and has a passion for marrying digital technology, insights and consumer/sales force behaviors to deliver the value proposition and relationships that today's consumer demands in a way that fuels the direct-selling model. 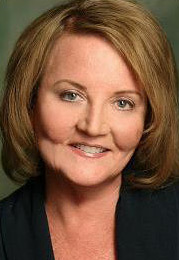 After establishing a broad foundation in business consulting/advisory with Ernst & Young and Grant Thornton, Erin began her direct-selling career with BeautiControl, a Tupperware portfolio company that manufactures beauty products distributed internationally through a direct sales/party-plan model. Throughout her ten-year career with BeautiControl, Erin held a number of roles leading key Sales, Marketing and Digital teams to create consumer/field strategies that turned around declining sales going from $80M to $350+M in four years. From 2011 to 2014, Erin held strategy positions at Thirty-One, a $750M+ direct-selling company offering organization solutions in the U.S. and Canada. She helped develop a three-year sales growth strategy based on new acquisition, market penetration and field development. She was also asked by the CEO to develop new brand/sales channels for two new business initiatives: an in-home fashion boutique concept, and a hybrid party/direct-to-consumer personal care line. For each initiative, Erin drove evolution of product offerings; conducted research/testing/refinement of the consumer value proposition; developed go-to-market sales strategies, implementation plans and associated sales P&L plans; led digital/mobile strategy initiatives; developed marketing and training collateral to support efforts from branding to field support and consumer engagement; and seeded launch with initial field/leaders. Most recently, Erin was Vice President of Global Sales for South Hill Designs, a high-growth, early-stage direct selling company offering personalized jewelry in the United States, Canada, United Kingdom, Dominican Republic, and Mexico. Kevin Willis is an experienced business advisor and turnaround executive with a consistent record of achieving quality results in both in-court and out-of-court restructurings. With over 20 years of broad industry experience at more than 50 different companies, Kevin brings deep capability in managing through financial distress, leading finance and planning functions, and implementing strategic change initiatives. Recent client engagements include: successful navigation of Chapter 11 reorganization as Chief Restructuring Officer for a $100+ million manufacturer and distributor of arts and crafts supplies; serving as Restructuring Officer for a $300 million revenue manufacturer of heaters and power tools, managing the Company through cessation of operations, going-concern sales and business wind-down activities; developing and implementing a new business plan for a $550 million distributor in financial crisis; and designing and leading a new corporate Financial Planning & Analysis organization for a $750 million revenue telecommunications company. Kevin was the VP & GM of Transformation at NEC Corporation of America and a Senior Director with AEG Partners in Chicago. He has also held positions at several professional services firms, including Pricewaterhouse Coopers and CSC Index. Kevin is co-author of "Why Companies Fail," found in the 2011 copy (and subsequent editions) of Strategic Alternatives for Distressed BusinessesWest Publishing. Kevin has a BS in Mathematics and a BA in Business Administration from Taylor University in Upland, Indiana, and MBA from the J.L. Kellogg Graduate School of Management. Jim Brady supports clients in supply chain, operations and general management. He is a direct selling veteran with experience in a broad range of direct selling companies from mature global enterprises to pure start-ups. A proven global executive, Jim has successfully led operations in countries around the worldEurope, China, Australia and Mexico; he has also lived and worked in the United Kingdom and Italy. With a track record of leading companies through difficult change, Jim has repositioned brands, improved profitably and solved significant service issues. He brings a strong operational background in Supply Chain, Manufacturing, Fulfillment, Quality Improvement and Facilities. Jim has led fast-paced, complex business changesnumerous operational and facility transitions, start-ups and enterprise restructurings. Jim began his direct selling career with Avon Products, gaining a solid foundation and experience in fulfillment, warehouse operations, in-bound and out-bound logistics, customer care, information technology and Human Resources. Successful performance led to increased responsibility leading operations in the United States, Canada, Europe, Mexico and Australia. In the 90s, he led Avon's major infrastructure changes in Kansas City, Atlanta, New York, Italy and Spain. In 1995, Jim was hired by PartyLite Gifts to create a global supply chain capable of handling the company's significant growth. Under Jim's leadership, a strong global team was hired which created the infrastructure for PartyLite to profitably grow to $800 million in global revenues. In the last 10 years, Jim has launched two new companies, transitioned a wholesale distributer to direct selling model and created a direct selling channel within an existing $600 million travel business. Jim earned a BA in Mathematics from Marist College and did graduate study in Organizational Behavior at Iona College. He was a Lieutenant in the U.S. Navy, serving as a Salvage and Rescue Diving Officer. After graduating from Harvard Business School, Dr. Virginia Green helped to build Avon Products' fashion jewelry line from $100 million to $450 million in less than four years. She then introduced a major new make-up line that generated over $1 billion to the company over its eight-year life. Dr. Green's success in new product marketing for the direct selling giant drew the attention of the second largest manufacturer of fashion jewelry at the timeMonet Jewelerswho was searching for a creative entrepreneurial type with big-company experience to launch their new Yves Saint Laurent jewelry license in the United States. The retail partnerships that she developed supported this innovative concept, and led her to Vice President positions at Trifari Jewelry and 1928 Jewelry Company where she managed sales and marketing (including design) for these $150 million companies. Working with partners in 1990, Dr. Green became a major consulting resource in the fashion industry. Their innovative ideas helped transform Coach handbags from a staid industry stalwart into the creative fashion trendsetter that it is today. Dr. Green's work with Banana Republic demonstrated the strength of a modern sophisticated design approach and helped the company create a strategic change that expanded their customer base well beyond the original safari-style concept. In the direct selling arena, Dr. Green, as part of Winfield Consulting, has been pivotal in the growth of numerous companies, including Princess House, Swarovski, Creative Memories. She has also worked with and coached a number of start-up companies. Dr. Green's hands-on consulting approachwhich has involved direct field experiencemakes her the ideal consultant to this industry, combining strategic and creative intelligence with practical perspective. 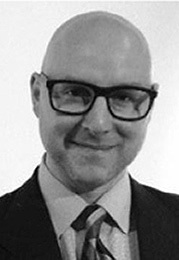 Dr. Green has a Ph.D. in Clinical Psychology and an extensive background in qualitative and quantitative research. She serves as the lead in the Research Practice, as well as primary focus group moderator for Winfield.